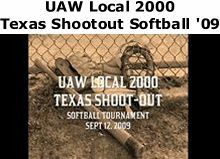 UAW Local 2000's Annual Softball tournament held at beautiful Oakwood Park in Lorain, Ohio. This years event was held on September 12, 2009 and was another huge success. For the complete story and more photos ,check out the Oct-Nov. issue of the Vanguard (page 18-19). 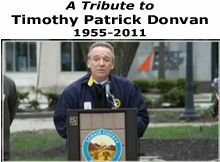 Timothy Patrick Donovan, 56 of Avon Lake, passed away Thursday, September 15, 2011. Tim was born May 15, 1955 in Buffalo, NY; he was raised in Sheffield Lake and had lived in Avon Lake the past 35 years. A pictoral journal of activities and events at our local. 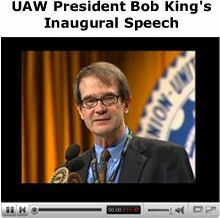 An annual event for retirees of UAW Local 2000, this year's event was held at Weiss Field in beautiful Avon lake, Ohio on August 5, 2010. Good food, good fun and good friends. UAW Local 2000 Retiree Picnic was held at Weiss Field in Avon Lake, Ohio. This years picnic was held on August 6, 2009 and was enjoyed by all. For the more photos ,check out the Oct-Nov. 09 issue of the Vanguard (page 14-15). 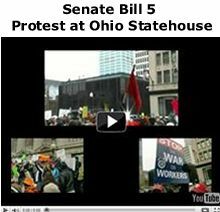 An estimated 5,500 activists gathered at the Ohio Statehouse in Columbus on Tuesday, February 22, 2011 to rally against Senate Bill 5, which is a direct threat to the collective bargaining system for public employees. 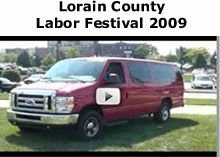 Lorain County Labor Day Celebration. It has been estimated that more than 28,000 people attended this year's festival at the Black River Landing in Lorain, Ohio. . The festival, held on September 6, 2009, consists of music, food, carnival rides, children's activities and a classic car show. The Women's Committee Annual Event, Lunch with Santa, is a favorite with children and adults alike. 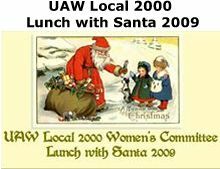 This year's lunch was held at UAW Local 2192 Hall (formerly Local 425 Hall) on Baumhart Road in Lorain, Ohio.